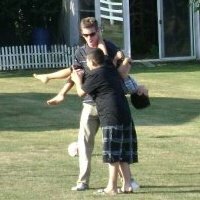 Here's a picture of me beating up some little kids! My name is James Allen, I am a 28 year old web designer & developer from Calgary, Alberta. I have a passion for building websites, and helping businesses of all sizes realize their online potential. I offer over 10 years of professional experience in all aspects of design and development. My versatile knowledge of front-end, back-end, and design make me a strong addition to any production team. I am currently pursuing a new full-time opportunity focusing on UI/UX design and front-end development. I am also looking to establish new freelance relationships with new and growing local businesses in and around Calgary.